Two little birdies bring you holly and mistletoe on tags ready for the gift giving season! All you need is a printer, card stock, and something to cut them out with. 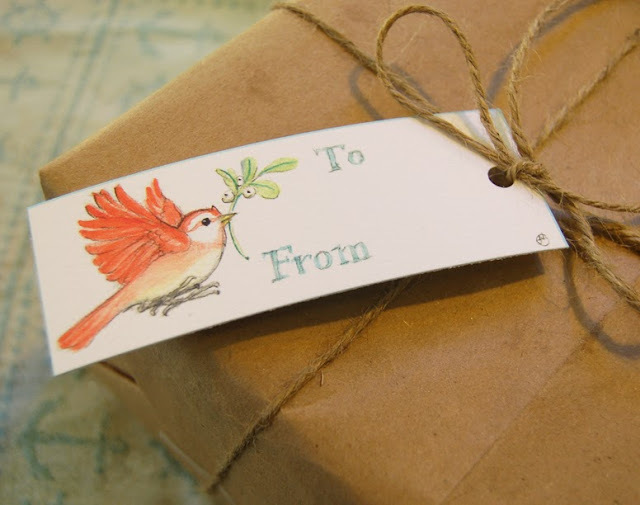 Then you need a gift to go with the tag, and our shops will have something for everyone on your list! Click here to link to the pdf file to download. Cut out each tag along the pale green lines - use scissors, x-acto knife & ruler or paper cutter. Punch out holes with a hole punch or just attach to your gift with tape or glue. and crafters of the Etsy New York Street Team! Moving On Up! 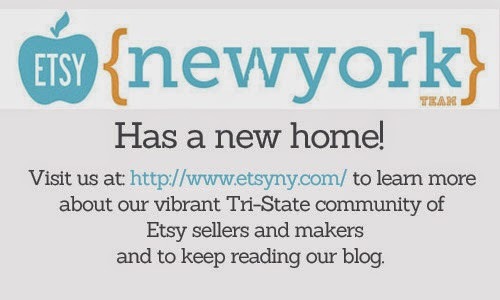 The Etsy New York Blog Has A New Home! 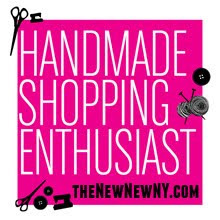 Our new website is a hub for all things Etsy New York including the blog, that you have come to know and love. Please visit us at our new home going forward to read new posts, as well as some of your favorite old posts and to subscribe to the new site, too! Thank you so much for reading our blog. We love having you as part of our community! Ahoy Mates! 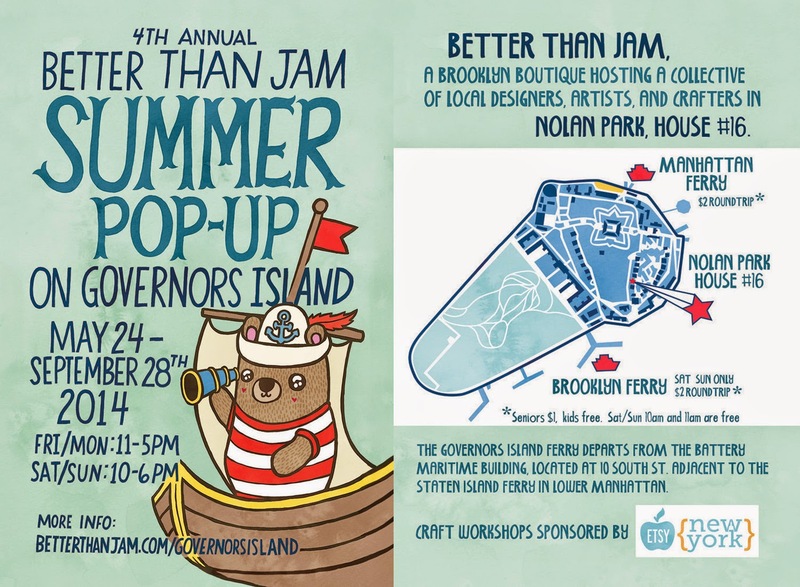 Announcing the 2014 Better Than Jam Pop-Up Shop on Governors Island! Join Etsy New York Artists at the 4th Annual Better Than Jam Summer Pop-Up on Governors Island at the grand opening on May 24th 2014. For the 4th year, the Bushwick Brooklyn boutique, Better Than Jam, will be once again hosting a collective of local designers in its summer location on Governors Island. The Brooklyn shop of all locally handmade products will be taking the ferry ride over, and bringing with it the creations of New York City's most talented designers, artists and crafters. From May 24 through September 29, house 16, a cute yellow Victorian house in Nolan Park, will be filled with the work of talented people, who have created some amazing and original products, just for the island shop. And this year, for the first time, the shop will be open 4 days to celebrate the greatly anticipated grand opening of new park land The Trust for Governors Island has been working so hard on. For example, Maggie Stevenson, once a resident of the island, will be creating a piece of jewelry based on her own and the island’s history, Matthew A Yanchuk of Mayware will be decorating some of his ceramics with map images of the buttermilk channel and island landscapes, Better Than Jam will be printing t-shirts, totes, and onesies with an original Governors Island design, and My Zoetrope has designed a special Govs greeting card so you can tell a friend all about your adventures on the island. In coming to Governors Island, Better Than Jam hopes to create context around artisanal processes and inspiration. Better Than Jam’s gift shop will complement and add to the Island’s growing popularity, allowing visitors to take home a tangible memento from their Governors Island visit—a souvenir that was designed and crafted nearby with the island in mind. With the help of the Etsy New York Street Team, the shop will also host family-friendly demonstrations and workshops on Saturdays, to show and teach visitors some of their skills. On June 28th Alison Grande of Koto Designs will be teaching embroidered cards and on July 19th Lu Lasson of Lu Crafts will be demonstrating bookmark making for those interested in learning a new skill. Established 2010 in Bushwick Brooklyn, a neighborhood rich in history and brimming with an artistic community, Better Than Jam showcases a variety of clothing, jewelry, accessories, and artwork created by some of NYC’s most talented artists and craftspeople. 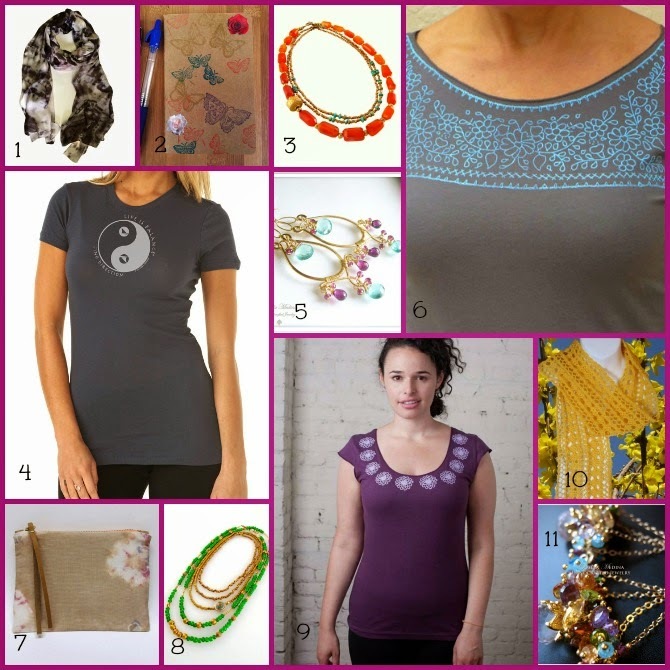 It brings to the forefront local accomplished designers that make 100% handmade and high quality items at a fair price. An eclectic group of independent artists, artisans, designers and crafters from New York, New Jersey and Connecticut, united through Etsy. With nearly 200 members working in a variety of media, the team forms a strong, supportive community which provides a forum for artistic growth and professional development. The Native Americans of the Manhattan region referred to the island as Pagganck ("Nut Island") after the Island's plentiful hickory, oak, and chestnut trees. In June of 1637 it was purchased by the Dutch and was called Noten Eylan . In 1664, the English captured New York, and took the island, however, the island switched hands between the British and the Dutch over the next 10 years until the British regained exclusive control of the island for the "benefit and accommodation of His Majesty's Governors,” and officially it became Governors Island in 1784. Defensive works were raised on the island in 1776 by Continental Army troops during the American Revolutionary War, and fired upon British ships before falling into enemy hands. From 1783 to 1966, the island was a United States Army post. From 1966 to 1996 the island served as a major United States Coast Guard installation. On January 19, 2001, 22 acres of the Island was proclaimed a National Monument, and in 2003, the remaining 150 acres of the island was transferred to the State of New York for a nominal fee of $1. A few weeks ago I wrote about DIY and Setting the Table. 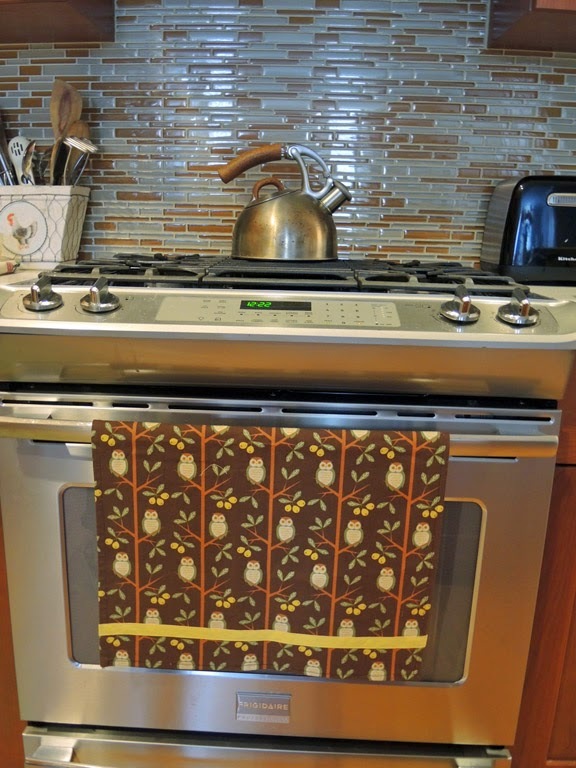 I taught you how to make a reversible napkin. In today's tutorial I will teach you how to make a Tea Towel. I like giving tea towels as hostess gifts. I usually will give two wrapped up in pretty packaging. Tea towels are great to use for many reasons. You can hang them on a stove for decoration. You can use them on a small table or coffee table for serving hors d'oeuvre. 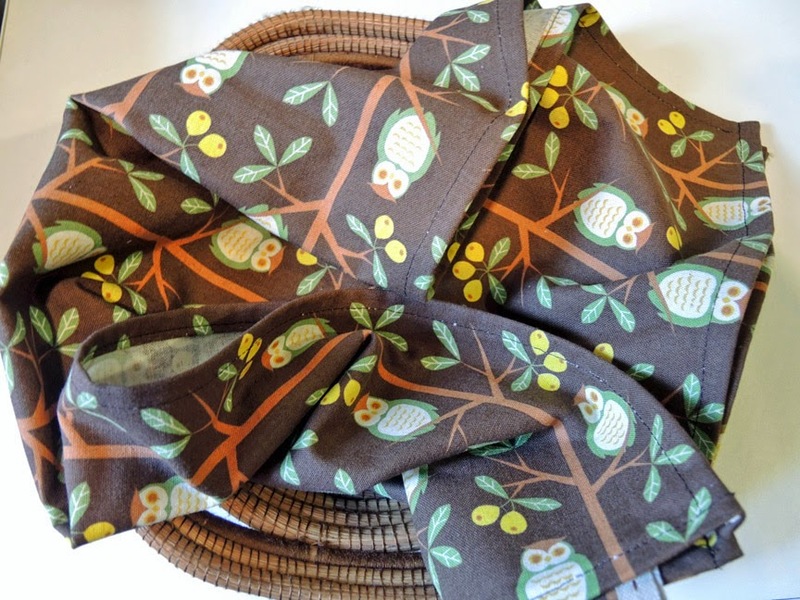 You can use them in a basket as a bread roll blanket or under a dish rack as a drying cloth. It is a very multi purpose textile. 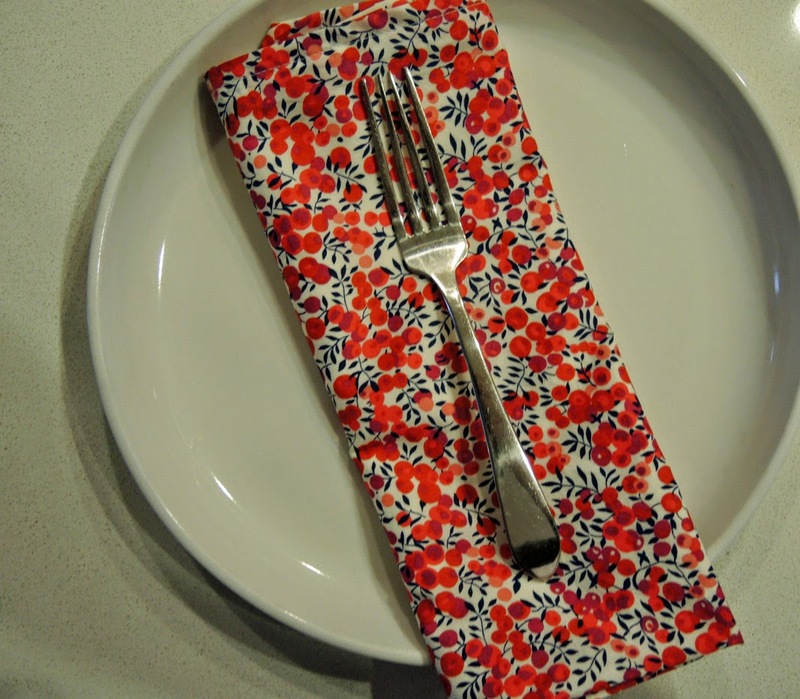 In this week's edition of Setting the Table I will show you a quick and easy way to make a tea towel. Very easy for the beginner. There is also an option at the end of the tutorial to add a ribbon detail. 3. fold in again 1/2" seam allowance and press. 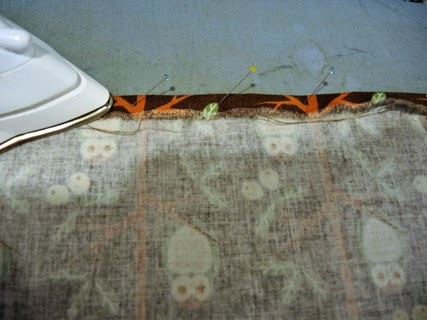 I press with the pins in to hold down the fabric for me. You can pin the pins all the way but I just push them into the ironing board. 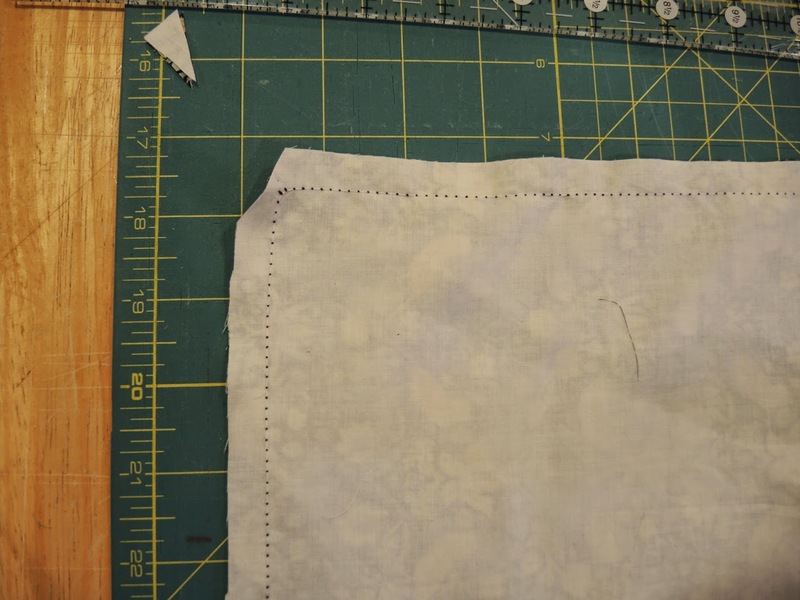 If you are more comfortable you can pin the seam allowance completely. 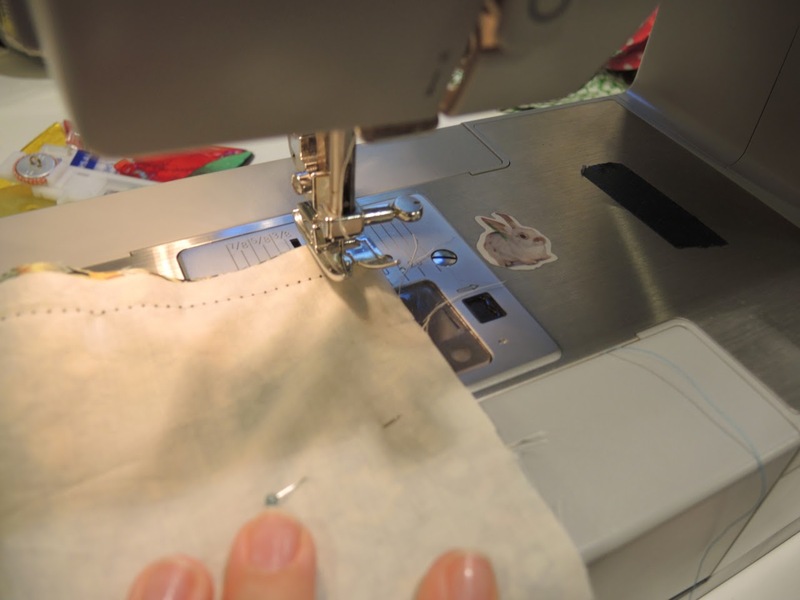 Once you press it with steam, the seam allowance should stay flat without the assistance of the pins. 5. Cut 6" of your thinner webbing or ribbon for your hanging loop. My fabric has a directional print, there is an actual top. Fold your webbing in half. 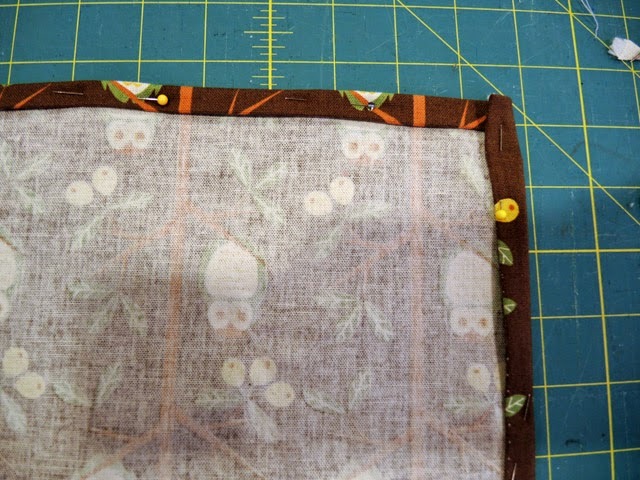 At the top of my towel on the shorter side and 1" in from the side seam place the raw edges of the loop under the seam allowance and fold towards the top so it overlaps the top edge and pin in place. 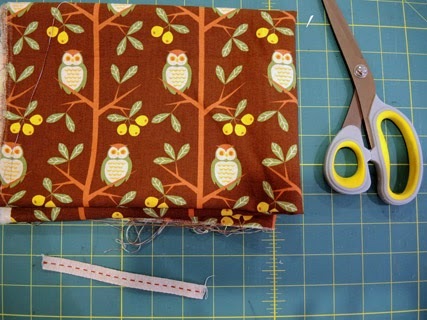 Now sew a 3/8" seam allowance. 4. 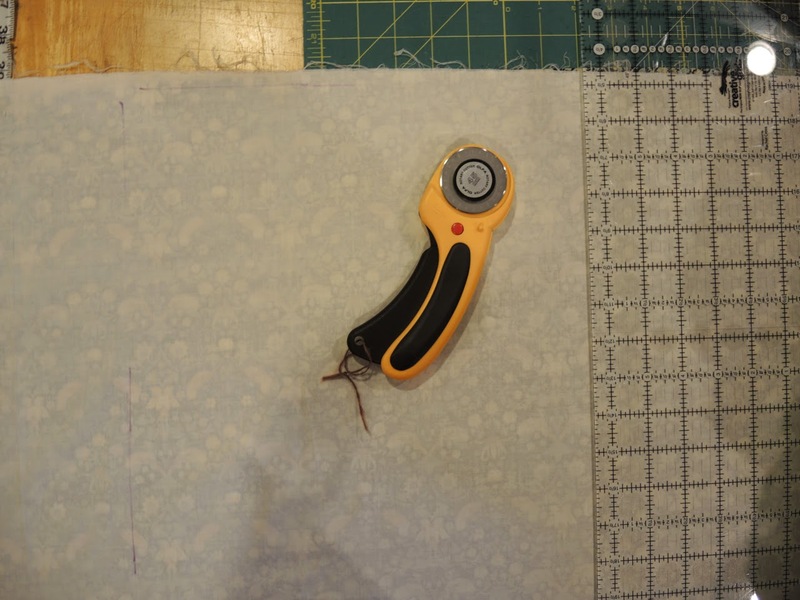 Sew all four sides at once, pivoting at each corner. Now an optional decoration is adding a ribbon, rick rack or pom poms to your tea towel. You will need 22" long of trim. (Or 25" if you want to make a loop on one of the sides, read step 7). I used a beautiful yellow ribbon called Fettucia. 6. 2" from your bottom fold place your ribbon with 1" overlapping each long edge. Pin in place. 7. Fold underneath twice so the raw edge is not shown. If you want, you can cut this ribbon at 25" long and on one side fold a loop to the back side. You then have a side hanging loop. This is shown in the photo. 8. 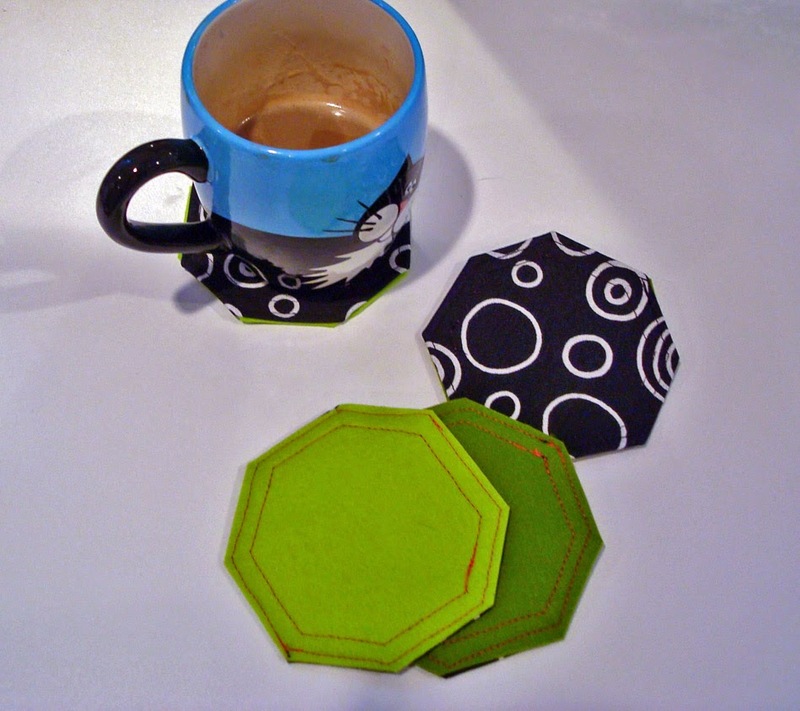 Sew an edge stitch, pivoting. Normally you shouldn't have your fabric underneath your arm of the sewing machine. 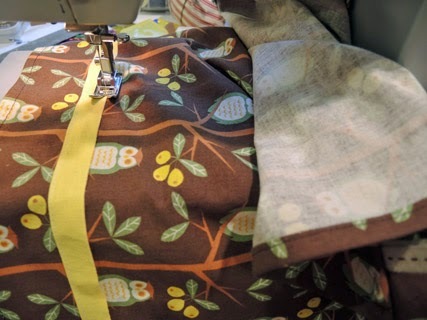 But in this case since you are pivoting you will need to roll up the fabric when you sew the other side of the ribbon. If you would like to give this as a gift I suggest making two so buy double the amount of fabric or buy the same amount in a complimentary print. — How to use your camera manual settings, including: resolution, time exposures, crops, and macros. — Use of backgrounds and props to enhance your product. — How to best frame and crop your product to create a memorable image. If you are still looking for that perfect gift for mom, why not give her an ETSY gift card? After you treat her to a delicious meal she can spend her day browsing the beautiful handmade creations that ETSY artisans offer! Also, this month we have a special Mother’s Day GIVEAWAY!! 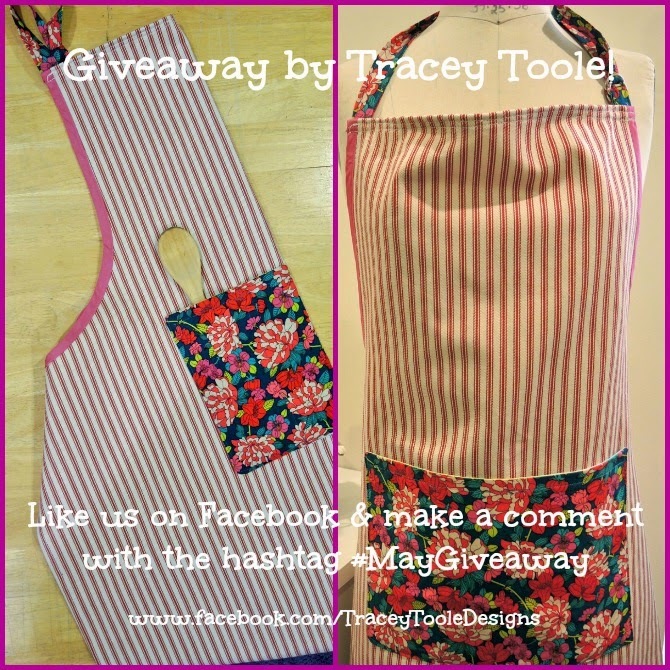 Tracey Toole, owner, maker and designer of ETSY Shop traceytoole is generously giving away this beautiful handmade apron and bandanna scarf. 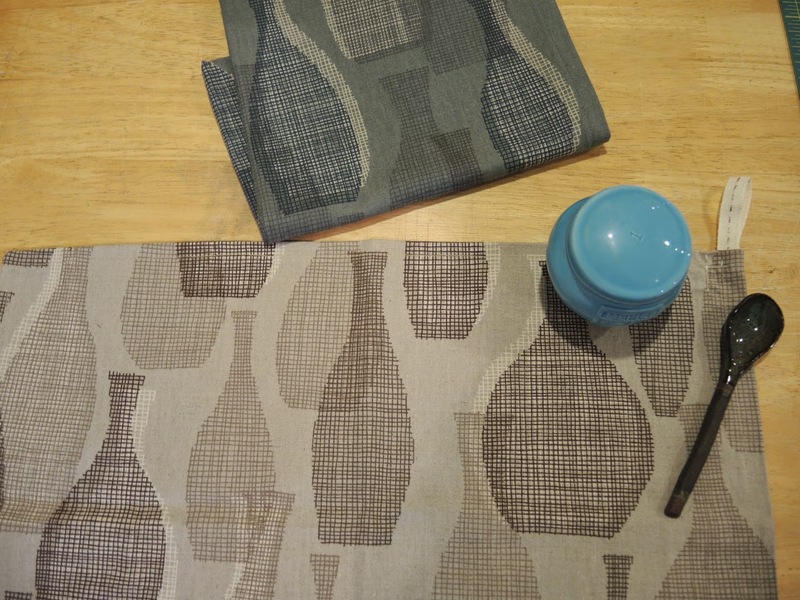 She designs and sews all her products in her Brooklyn studio and specializes in custom aprons for commercial use. 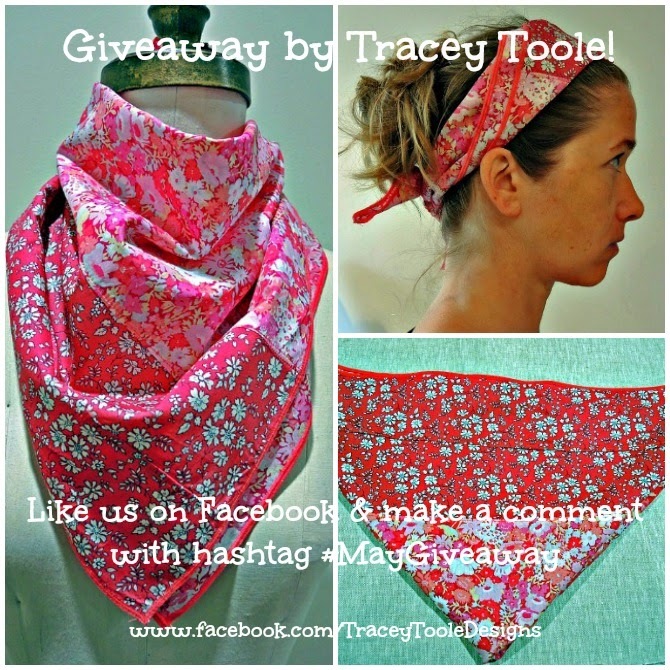 How can you win one of these fabulous traceytoole creations? It’s simple – all you have to do is “Like” her page on Facebook and write a comment with the hashtag #MayGiveaway and you’ll be entered to win – it’s that easy! Hurry, contest ends on May 23, 2014, two lucky winners will be selected! Did you watch the YouTube video titled the "World's Toughest Job"? If not, prepare for a spoiler alert. The video is about Moms. It's about all the wonderful things Mom's do for us. Things they do day after day. Unconditionally and selflessly. It's about the beauty of Moms. And, it went viral. Overall, gift cards topped the list. This surprised us since gift cards may seem a bit impersonal. Yet, it means that Moms can use the gift cards to purchase whatever they would like or need. So, the Moms we surveyed say gift cards rule! Assorted gift packages or a day at the spa are greatly appreciated. And, kitchen appliances ranked high on the list. Who knew?! We certainly didn't, but we agree. Who wouldn't love a blender, food processor, mixer, or any gadget that makes life easier! While the majority of Moms said that they enjoy both handmade and store-bought gifts, their favorite and most memorable gifts were those that were handmade. They cherish the handcrafted cards, flowers, and accessories that their kids make especially for them. We hope that you have the chance to thank your Mom in as many ways as you can and as often as you can. We wish you a wonderful time celebrating the beauty of your Mom! How will you celebrate Mom this coming Mother's Day? YouTube Video: "World's Toughest Job"
* Photos courtesy of Rebecca Hudek, Yana Rodin, and Jill Morris. ** Our survey does not represent the opinions of all the awesome Moms out there :). 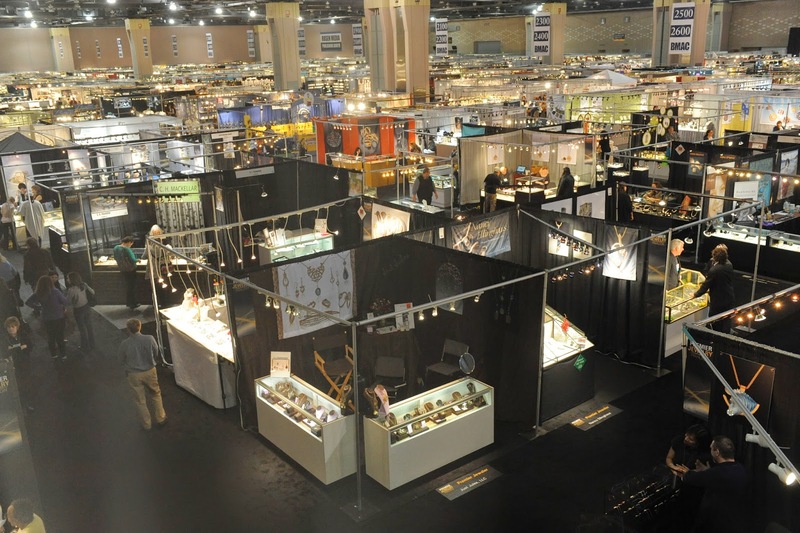 1) Research Trade Shows - First of all, you want to research the trade shows available and figure out which one is the best fit for your business. Think about who you want to sell to. Is your product something you can see at a gallery or museum or is it more of a gift item that could be sold at a gift store, a spa or small boutique? Is it suitable for almost any type of store? Once you have narrowed down which trade show has the audience of buyers who you want to sell to, then first thing you want to do is walk that show. Walking the show will give you the best idea of how much traffic that specific show gets and what type of goods are sold in that show and wether those products are like yours and targeted to the same type of business. Find out what the application process is like. How far in advance do you need to apply? Is it a juried show? 2) Take a Good Look at your Business Finances and Make a Trade Show Budget - Once you have figured out which show you are going to exhibit in, it is important to create a budget for your trade show and start to save money before applying. Trade shows are expensive and depending on your product and the audience it might take a few tries before making the connections needed for the orders to start pouring in. Remember, you cannot truly judge a show’s success until after the show is over. Aside from the application and the actual show fee, there are many other expenses to account for: 2) Show services: electrical, drayage, union fees; 3) Travel expenses: meals, transportation, lodging; 4) Booth design: signage and furnishings; 5) Printable: line sheets, catalogs, order forms, price forms, marketing materials; 6) Shipping: cost of getting everything shipped to the show; 7) Promotions: pre and post-show mailings, etc. 3) Pricing your work: Before you go ahead and submit that application, make sure your pricing is right for wholesale. There are two reasons why this is so important: First - You do not want to underprice your work! If you do that from the start, you will not make a profit selling your work at wholesale prices or you will not be able to offer the standard 50% off your retail price to wholesale buyers. Second - You do not want to compete with stores carrying your work! Yes you want to be able to have a sale and offer your loyal customers a good price but you do not want to miss out on the business a store can bring you by competing with them with lower prices on the same items you sell to them and they are selling at retail. This might not be such a big deal if you are not in the same city as your buyers but most of us do business online, so this is something to keep in mind. Research retail and wholesale pricing and adjust your own prices if necessary. An option you can contemplate is creating a wholesale line of product. This way, the products you sell wholesale are just for wholesale and you can do whatever you would like to do with the products you sell direct to customers on your website or at a craft show. 4) Create a Line Sheet/Catalog, Order and Pricing Forms - For the show, you would want to have a line sheet or a catalog to hand out to buyers interested in your work. A line sheet/catalog is a document with all the necessary information for your prospective buyers. The line sheet or catalog should include the following: 1) Photos of each style; 2) Style numbers; 3) Color and/or fabric information (so variation information); 4) Delivery dates (turn around time) and order cut off dates; 5) Order minimums; 6) Season; 7) Company and/or sales rep contact information and (optional) 8) Prices and 9) Information about the maker and company. I personally have a separate sheet for ordering which also contains prices because this way a new catalog does not necessarily needs to be printed if my prices change. You can find many samples of line sheets and ordering forms online. 5) Research best lay out options for your booth - Buyers and store owners walking a show do not have the time to leisurely stroll down aisle after aisle of product so it is important to captivate the buyers attention and help them decide right away if they should stop at your booth. A good booth design will help attract buyers attentions and get them into your booth and place an order with you. You want to have clear signage and photos of your products that are visually appealing and of course easy to spot. Buyers make split second decisions and know their customers so if you have something that will be a good fit for their customer base, they will likely place an order with you. 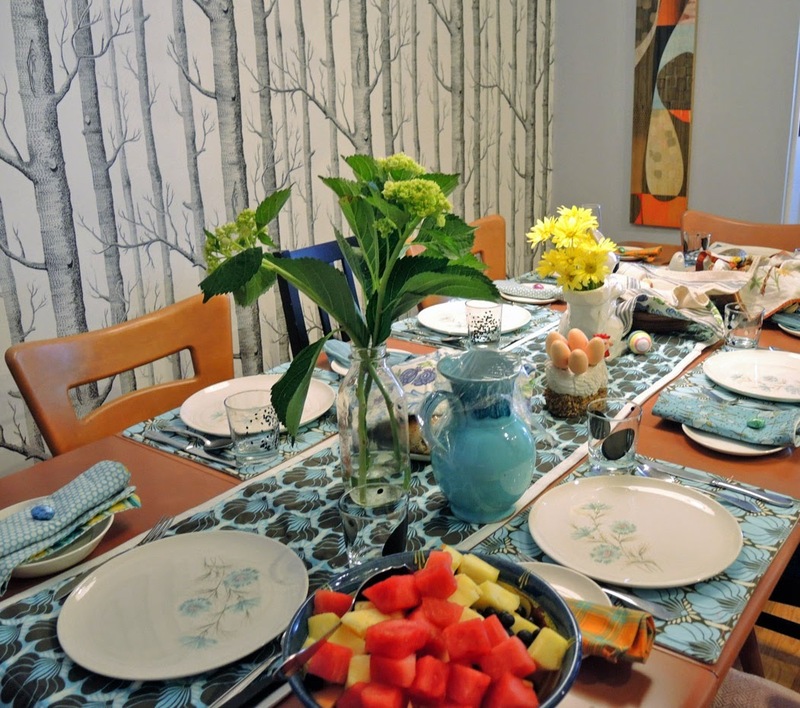 Use the space wisely, create levels on your display tables to attract your buyer to look around your table, etc. Perhaps, shell out some extra money for a corner booth to increase the traffic into our booth. In New York City most apartments are on the small side. We live in shoe boxes. Most of us all live on tight budgets. And most of us are single and like to go out. Sometimes though it is nice to entertain, even in our little shoe box. I used to live in a 300 square foot apartment. My husband to this day makes fun of it. It was my bed, my work table, and 3 cats. Plus a few bookcases here and there. It was cozy. It was in Hells Kitchen which is a very fun place to hang out in and filled with history. Even though I lived in a small studio I still liked to have friends over. I didn't have chairs or a dining table but we could have drinks and appetizers. Entertaining is nice, pleasant, cozy and personal. The next few weeks I will be posting a series of DIY called Setting the Table. 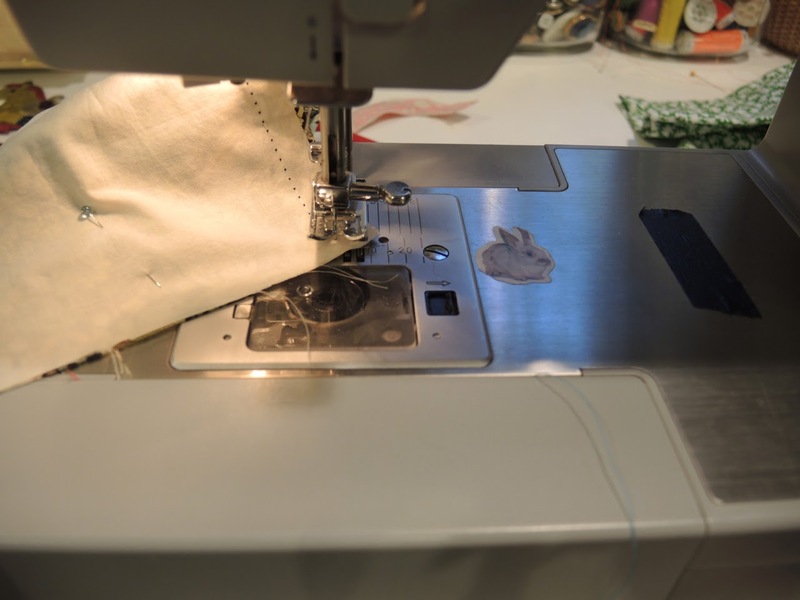 You don't need to be an expert sewist to do these projects but it will help if you know the machine. There will be projects for every living situation. We will start with simple and easy, a napkin. Moving on to a tea towel with hanging loop. Each above item can be used in any table setting, big or small, casual or formal. What will determine the feel is what fabric you use. 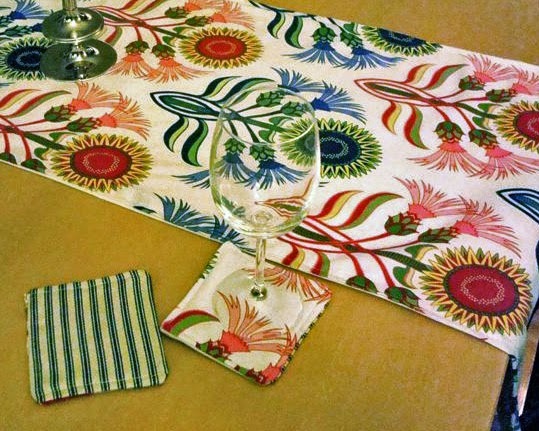 The first project, the double sided napkin, can be used for every day meals or only when special meals with guests are held. matching cotton or poly machine thread. I prefer Gutterman brand but Coats and Clark is also good. All fabric should be pre-washed. 1. 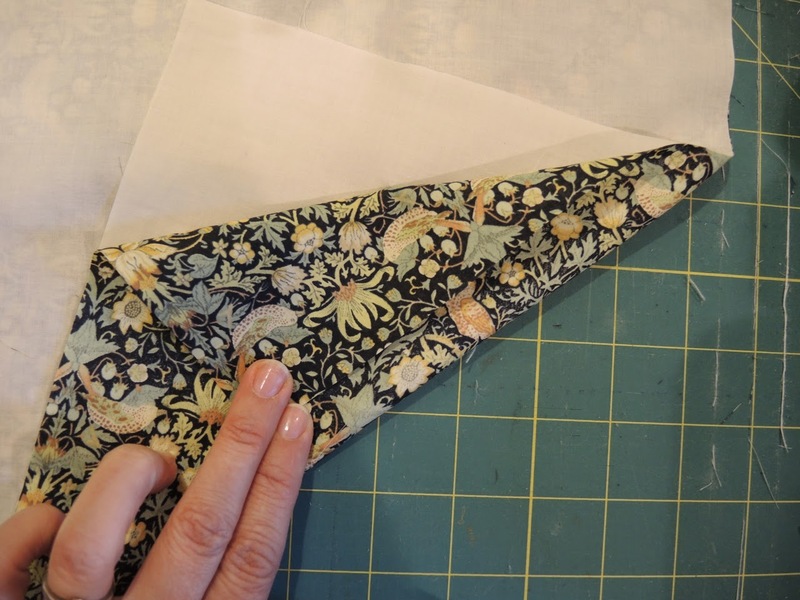 You can layer both pieces of fabric on top of each other for cutting. Cut out 4 18" squares. 2. Lay one piece of muslin and one piece of your print face to face. Muslin has no face so just choose one side. Pin it together. 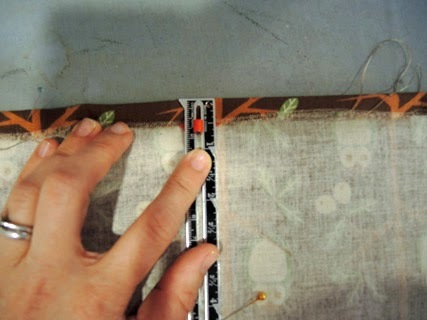 Sew 3/8" seam allowance on all sides leaving a 4" opening. 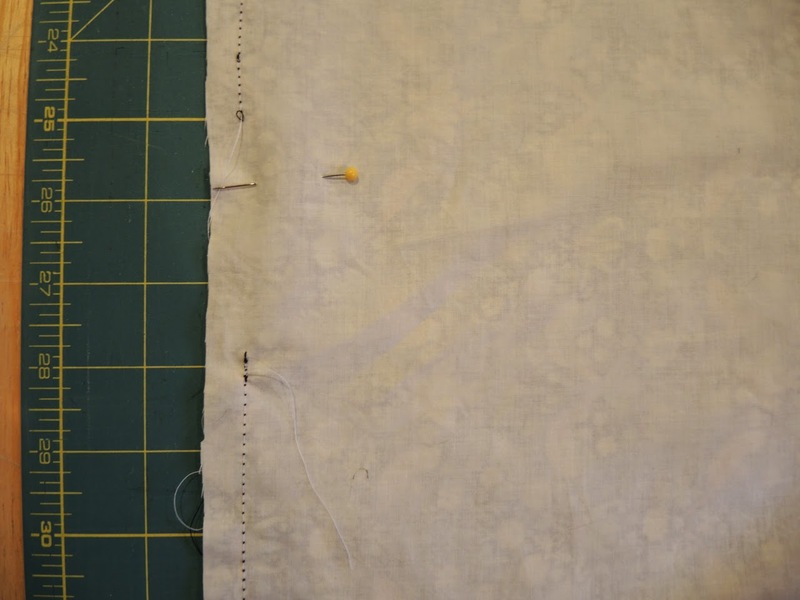 When you are sewing the sides continue with one seam, you will pivot when you get to each corner. 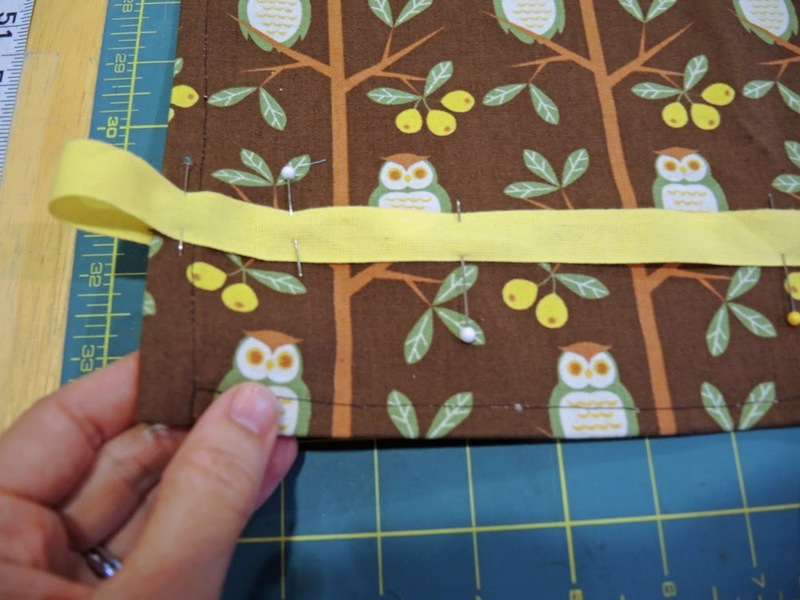 Start your sewing in the middle of one of the seam allowances, so don't start at a corner. Press with a steam iron. The face is the nice side. 3. 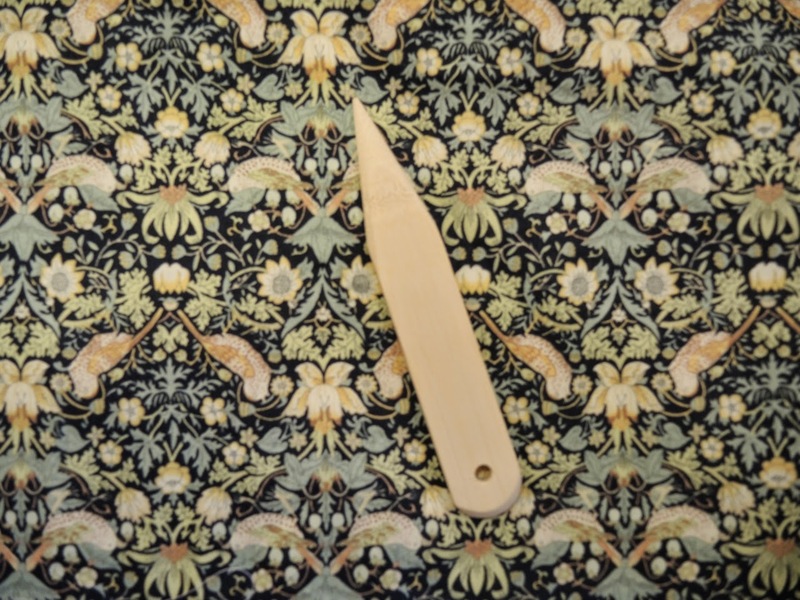 Pivoting: Leave your needle in at the corner, raise your presser foot and turn the fabric to sew the next seam. 4. Clip corners before turning back to the right side. This reduces bulk and will help you get nice pointy corners. Use a point turner for this. I like the bamboo kind. 5. After turning out, press with a steamy iron. 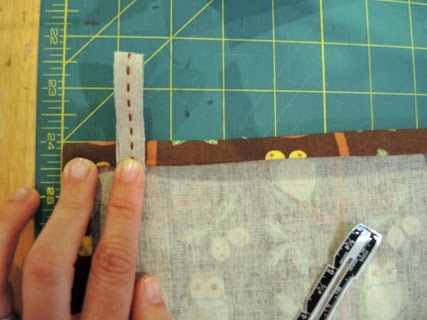 And sew around all 4 sides using a 1/4" seam allowance. And press again. 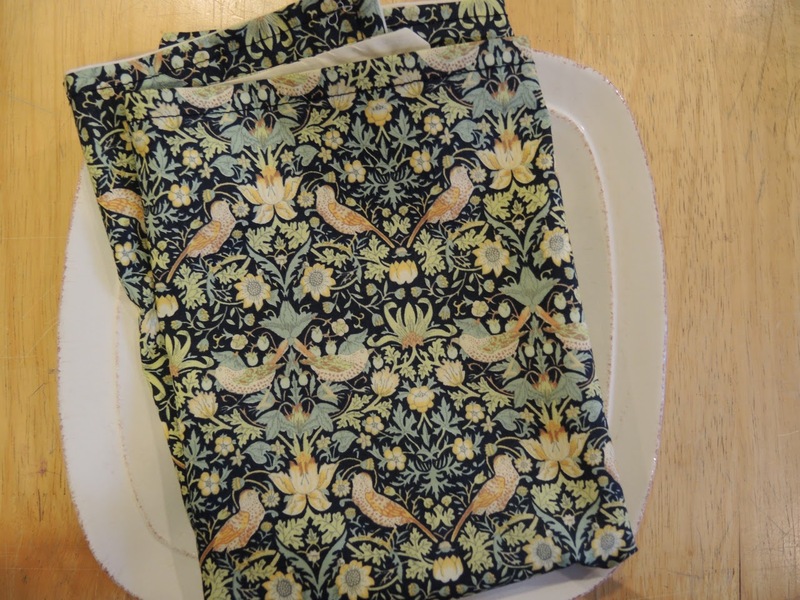 Beautiful and soft spring napkins! 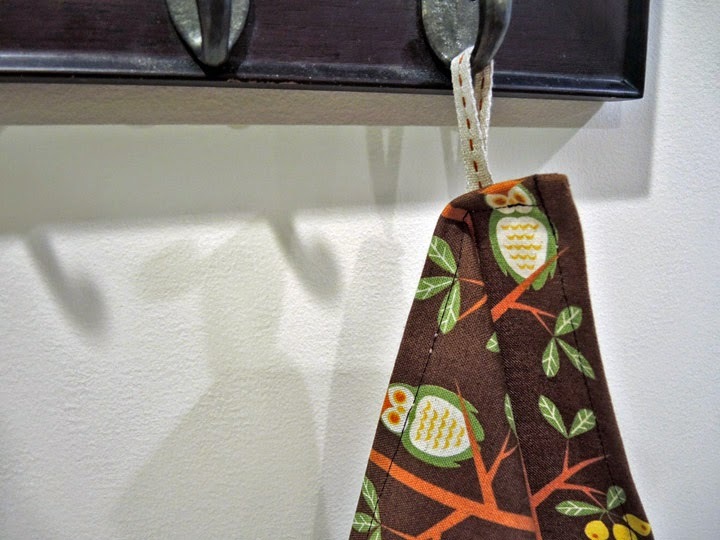 The next post will be making a tea towel with hanging utility loop.